Residents of southern Israel urge the public to join their protest in Tel Aviv on Thursday. 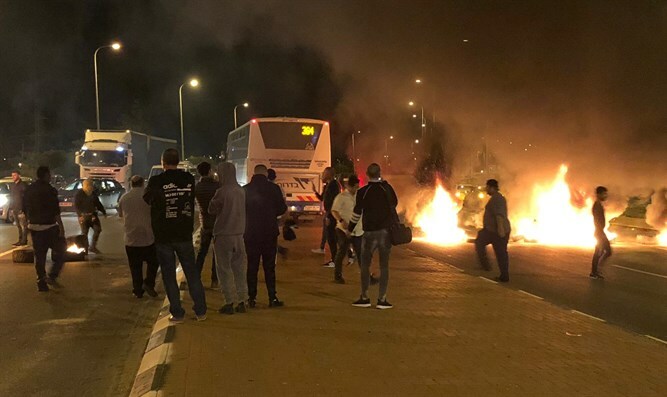 Residents of the Gaza envelope and other communities in southern Israel will block the Azrieli junction in Tel Aviv on Thursday evening in protest against the ongoing rocket attacks against the region. Meirav Cohen, a resident of Kibbutz Ein Hashlosha which is located in the Eshkol Regional Council in the western Negev, called on every citizen who cares about the residents of the south to join the demonstration. Cohen stressed that Defense Minister Avigdor Liberman’s resignation, which he announced on Wednesday, has nothing to do with Thursday’s demonstration. "We really do not care that Liberman resigned, we do not go into personal affairs. We want quiet. We want to live in peace, like everyone else," she said. Cohen, who together with her family moved away from her kibbutz as Gaza terrorists fired hundreds of rockets on the south in recent days, expressed hope that this was the last escalation. "I thank the family in Givatayim who opened their door to us. You have to understand that it is not easy to pack everything and leave your home, but we are in a situation where we do not feel comfortable returning home," she explained. Residents of the south have in recent days have held several demonstrations against the security situation in the region. On Wednesday, dozens of residents of the Gaza envelope protested at the entrance to the city of Sderot against the government's ceasefire agreement with the Hamas terrorist organization. Earlier in the day, dozens of Gaza envelope residents demonstrated at the Kerem Shalom Crossing, the primary entry point for goods and humanitarian aid into Gaza. About 1,000 residents also protested in Sderot on Tuesday evening. The residents waved signs with slogans such as: "We are not second-class citizens."